You should probably try this soon. I’m pretty sure you’ve got these simple ingredients in your cupboard/fridge and if you’re at all like me you’ve got some easter candy that needs a good use. You can top these with any cute easter candy you want! M&Ms, peanut butter cups, cadbury creme eggs anyone?! However you top it, do it soon. And then eat it warm with a spoon (ok, ok, or let it chill like the rule follower you are!) and make it again for easter! In a medium saucepan, stir the sugar, evaporated milk, butter and salt together, melting and stirring occasionally over medium heat until the mixture just comes to a boil. 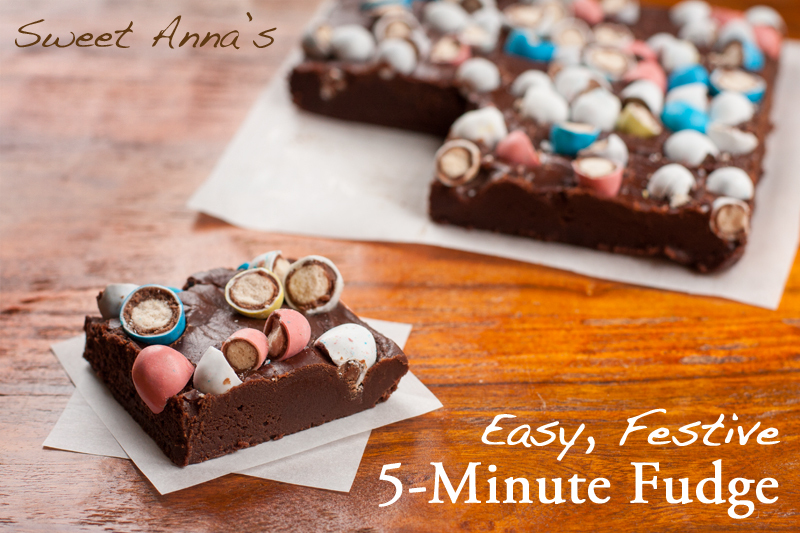 Set a timer for 5 minutes (hence the 5-minute-fudge name!) and boil the mixture, stirring constantly for the 5 minutes. Turn off the heat and quickly stir in the chocolate chips, marshmallows and vanilla, stirring until the marshmallows have melted and the mixture is smooth. 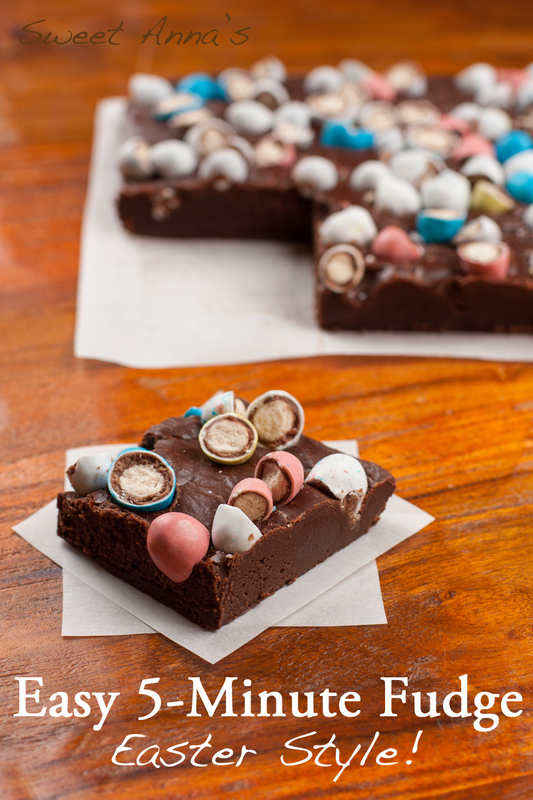 Spread this mixture into a buttered 8" square baking dish and let sit for about 5 minutes, before sprinkling the easter candies onto the top and pressing down gently. Let cool completely before cutting into small squares and serving. Store any leftovers in the fridge for up to a week!